Calling All Heroes! Early Bird Registration is Now Open! Register. Fundraise. Be a hero. It’s simple – sign up today and join us for the 24th Annual Race for the Cure on Sunday, September 27 at Fashion Island in Newport Beach to celebrate survivors and breast cancer heroes. All heroes who register before May 31 receive a special early bird discount on their registration fee, with additional discounts for breast cancer survivors. Dare to be a competitive hero? New this year is the “timing chip” to see how fast you can complete our course! Keep in mind, if you’re planning to use the timing chip, you must participate in the 7:15 a.m. Race. If this sounds like something you have wanted to accomplish, start training and fundraising in support of all the inspirational women and men battling breast cancer every day. Or, if you’re not into running, you can walk our 5K or participate in the Kid’s One Mile Fun Run & Family Walk. Either way, you’ll still be our hero. Inspired to be a group of heroes like the Fantastic Four or The Avengers? Consider forming or joining a Race team! All you need is a group of 10 or more heroes to join the fight against breast cancer. The sooner you register, the sooner you can begin fundraising. All funds generated from Race for the Cure directly impact the lives of women and men battling breast cancer. That means by fundraising, you’re saving lives. 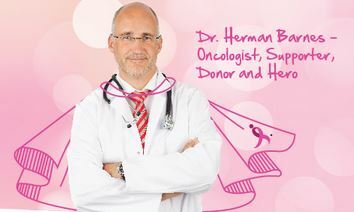 There’s a hero in all of us, and the journey to saving lives starts here: www.komenoc.org/race. Be Part of Team Komen and Train with a Marathon Pro! 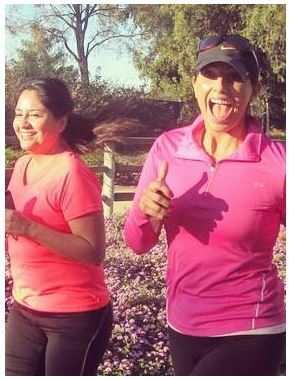 Have you registered to join Team Komen at this year’s OC Marathon and Half Marathon? If not, there’s still time to join! In true Komen fashion, we wanted to share tips and tricks for getting in shape for the marathon. Marathon enthusiast Doug McKay, our 2015 Race for the Cure committee chair, is leading a free training group which meets every Saturday at 7 a.m. for all Team Komen members. We invite you to participate in this training alongside other Team Komen. You’ll learn about personal health and training essentials, while building friendships with those who want to make a lasting difference in the breast cancer community. Plenty of fluids – water, sports drink, etc. Sun protection – sunscreen, sunglasses, hats, etc. Selecting varying surfaces you train on can have a huge impact on injury prevention – that’s why we change up our training location every week. If you are interested in joining us and being a part of Team Komen, please contact Julie Guevara at 714-957-9157 ext. 30 or via email at jguevara@komenoc.org. With the Komen OC Race for the Cure only days away, we are excited about the benefits of walking both for individual health and reaching our annual goal of raising awareness and funds to provide local breast cancer treatment. Komen OC provides a variety of community outreach programs to help educate women. They also provide uninsured, low-income women with breast screenings and mammograms. This year, Komen OC is encouraging race participants to raise a minimum of $125; the average cost of a Komen-funded mammogram. New to the Race this year will be an avid runners start time beginning at 7:15 AM. The other 5K times for both runner and walkers will being at 7:30 AM and 9:45 AM. We hope you can join us at the 2012 Race for the Cure this Sunday, Sept. 23!